You might have been wondering who could be left to talk about from the Christmas story, but the last person we need to put “in the picture” is absolutely vital if it is to mean anything at all. To discover who this person is you will need to find a mirror and take a long look into it. The story we have been considering over the past weeks isn’t a piece of ancient history. It is a story which is still alive and life-giving in our present age. “God sent his only Son into the world, so that we might live through him”, says the writer of the first letter of John. Many billions of people through the ages have found meaning for their lives through following the steps of the man whom the infant Jesus grew into. Perhaps you are one of them. Which pictures, and which parts of the nativity story have spoken most powerfully to you out of all those we have looked at? What do you feel you need to do in response to this series of Advent thoughts? If you would like to, get in contact to let me know what effect these Advent thoughts have had on you. Our Midnight Mass service starts in darkness, with the lighting of the white "Christ" candle on the Advent candle stand. We sing favourite carols, and hear the story of Jesus' birth. There's a chance to light a candle by the crib for those you may be thinking about at Christmas. 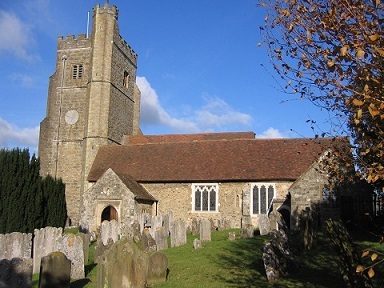 The choir sings carols from about 11 pm, and the service starts at 11.30pm. The service is easy to follow, whether you are a regular or have never come to church before, and you will be warmly welcomed. 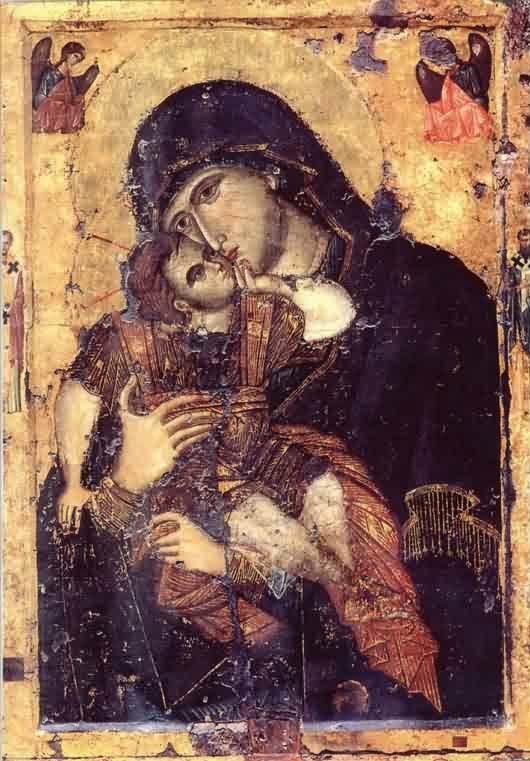 Mt Athos, Greece, before 9th C.
There are thousands upon thousands of pictures of Jesus as a baby in Christian art, so it was hard to choose just one picture to represent the key figure in the story of the nativity, Jesus himself. Without him, there could be no story, but every image of him tells that story slightly differently. The opening of John’s Gospel speaks of this wonderful gift – God himself coming among us to conquer our darkness and bring us to life through his love. “God so loved the world that he gave his only Son” (John 3.16) When and how did you first become aware of the love of God, and how secure do you feel in that love? 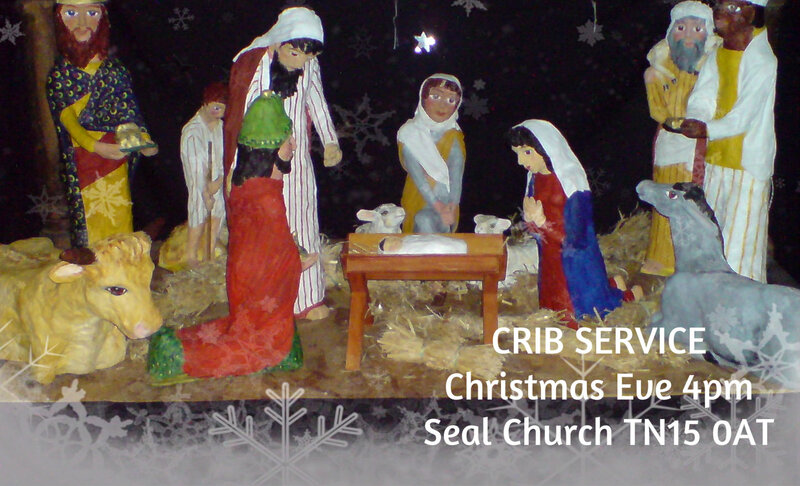 I'm looking forward to our crib service on Christmas Eve at 4pm. 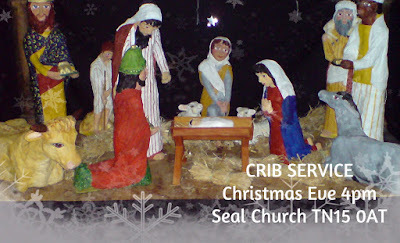 The children bring up the crib figures as we tell the story, singing carols as we go along. It is very informal, great fun, and very popular - come early to get a seat! 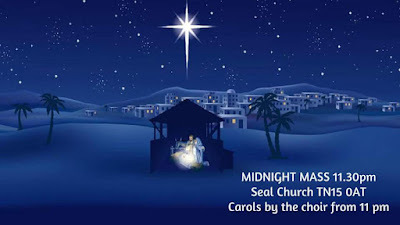 There are headresses on offer if children want to do some dressing up beforehand, and at the end all the children gather around the crib for its blessing as we sing Away in a Manger together. The service lasts 30-40 minutes. It's a great way to start your Christmas! All ages are welcome - you don't have to have a child or be a child to come. 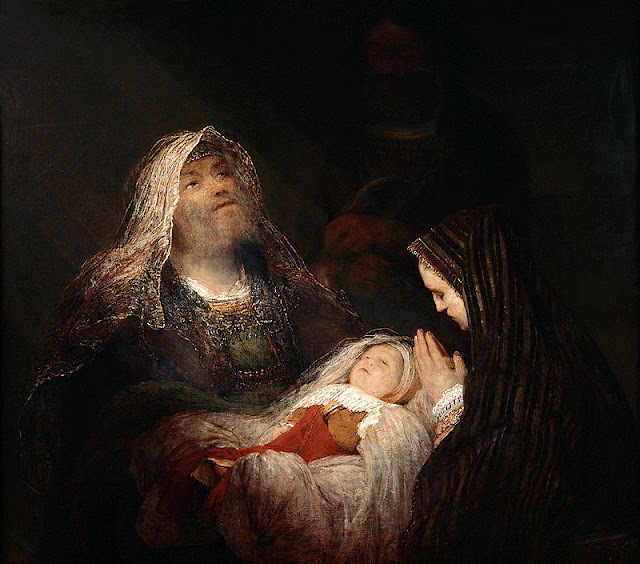 Simeon was not alone in recognising God at work in the infant Jesus. A widow of eighty-four, called Anna, who had lived in the Temple for decades also spotted Jesus among the crowds. Her response was not only to praise God but also to talk about him to all around her who were “looking for the redemption of Jerusalem”. She is one of the earliest evangelists in the Gospels. This is Good News that cannot be contained. This picture was painted by a member of the Mafa people of Cameroon and Eastern Nigeria. Anna is pictured peering round Simeon’s shoulder, smiling with delight at the child. The picture portrays the events taking place in their own local setting, with local people in local dress. This picture, one of a series, was a deliberate attempt to help people understand that God comes to us where we are, speaking our language. If you were Anna, what would you say to those around you about this child? 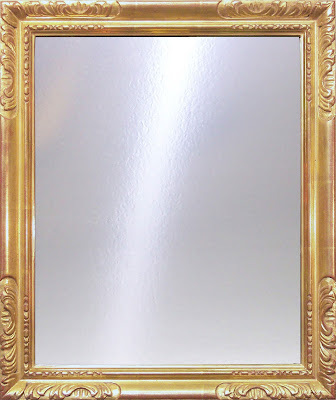 Why do you think Jesus is special (if you do)? Spend some time imagining this story happening where you are. 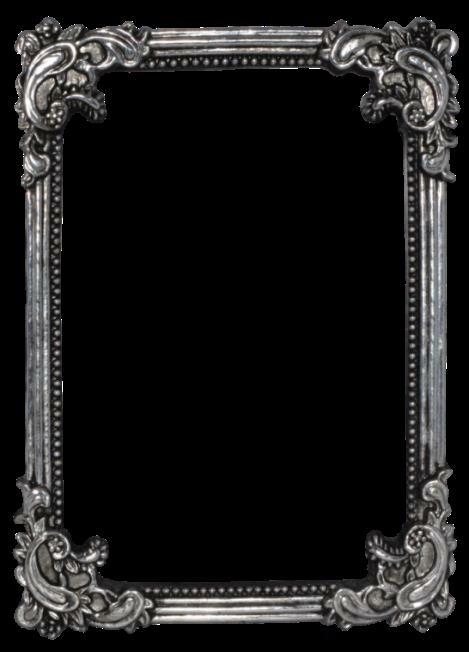 How do you imagine the scene would look? Luke’s account of the events following Jesus’ birth is completely different from Matthew’s. There are no Magi, no mention of Herod or of the massacre of the children and therefore no need to flee into Egypt. Instead, the Holy Family return to Nazareth almost straight away. Before heading back to Galilee, though, Mary and Joseph bring Jesus to the Temple, to offer a sacrifice required by law for a firstborn son. They enter the Temple, just one ordinary family among many, but an old man, Simeon, who has been promised by God that he will see the Messiah before he dies, somehow spots them amidst the crowd. His song of praise, traditionally called the Nunc Dimittis, the Latin translation of its first two words, is said or sung at Evensong every day. Aert De Gelder’s depiction of this moment picks up on Simeon’s words that this child is “the light that enlightens the Gentiles”. He glows with what seems to be his own, heavenly light. 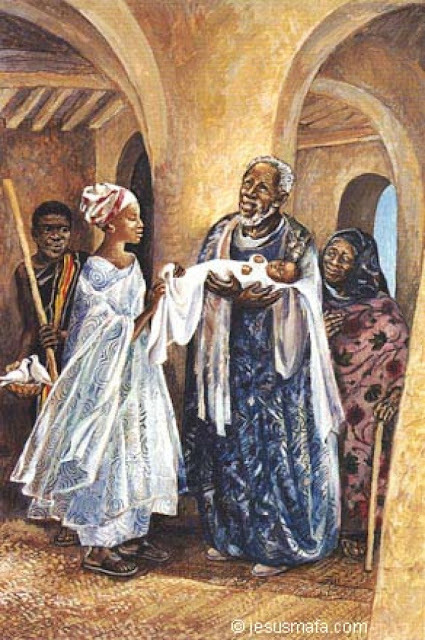 Simeon warns Mary, however, that her child’s life will not be easy, and that it will bring her pain as well as joy. Imagine you held the infant Jesus in your arms. What would your song be? Think of the children you have known and have watched grow up – your own or those of friends or family. Have they grown up as you expected them to, or have they developed in ways you would not have predicted? Matthew tells us very little about the time Joseph, Mary and Jesus spent in Egypt, just that they went there and found protection from Herod. Matthew ties this in with words from the Old Testament prophet Hosea (11.1) “out of Egypt have I called my son.” Hosea was referring back to the story of the Exodus, but Matthew reframes his words to suggest that in Jesus there is a new Exodus, a new deliverance from slavery. 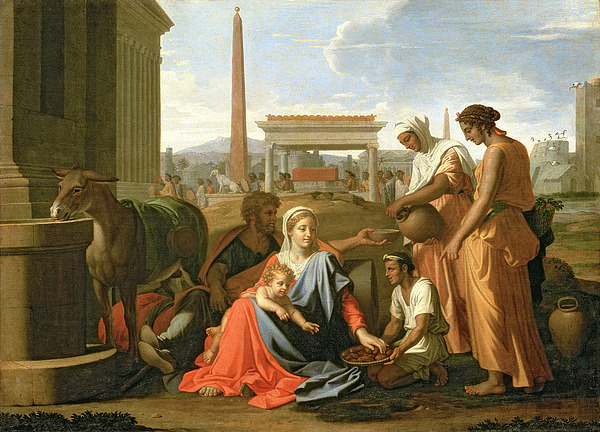 In this picture, by Poussin, like yesterday’s, we see the Holy Family welcomed by the Egyptians with food and drink. Even the donkey has found water and is eagerly drinking. There is a sense of relief. The family is safe, and all will be well, at least for a while. Imagine you are Mary or Joseph. What are you feeling as you reach out for the food and drink that is being offered? How do we welcome those who are refugees among us today? How can we provide safety and protection? Is there anything in the news today about refugees, or can you find out more about organisations working with them (UNHCR, Torturecare, Kent Refugee Action Network or IRC (see the video below). How is your Advent colouring?